The testimony of Pentagon police officers SGT Lagasse and SGT Brooks. Uh yeah sorry I must have only gotten a C in crash science class. Why are truthers always wrong? Everything truthers say is just a lie or wrong. Why? You are wrong, you failed to show all the other parts. Failure is a truther trait? How many accident investigation courses have you taken? As one viewer put it- the video debunks itself. Amazing. I expect nothing less from a "researcher edition". You laughed because you are in denial or you don't understand the implications. No logical unbiased person denies that the plane was on the north side of the citgo after seeing this testimony. Unfortunately you can't find many of those in this forum. Sure there are a few other scraps. Hi everyone. After a long suspension due to "discrepancies" on my account I have been allowed back after literally proving my real identity to the moderators. I found this to be an odd request since most discussion boards are anonymous and I had already been posting here for a few months but I am not trying to hide my identity so I complied. Having to prove your real identity to the moderators before you can participate in an open and anonymus forum, must be highly irregular? Well, I've already noticed that the forum moderators hardly can be described as unbiased. Any comments from the mods? Why are you always wrong? Your witnesses who were inteviewed in 2001 make your whole story just a lie. Your false statement now about the crash scene and about DNA is another lie. You are posting now just lies. Your film is a failure and with the interviews from 2001 and thousands of pieces of evidence and hundreds of witnesses your film is an outright lie. You have said things that are not true and you have you own witnesses to debunk you 5 years before you published you lies. Seeing as repition has failed to help make a point and your continued lies are boring. If you want to be a liar go ahead make your case. You are just a pathetic liar. Here are your own witnesses contradicting every single thing you say! American Airlines Flight 77 from Washington-Dulles International Airport crashed into the Pentagon at 9:37 a.m. William Lagasse, Chadwick Brooks, and Donald Brennan were Pentagon police officers on duty at the time of the attack. 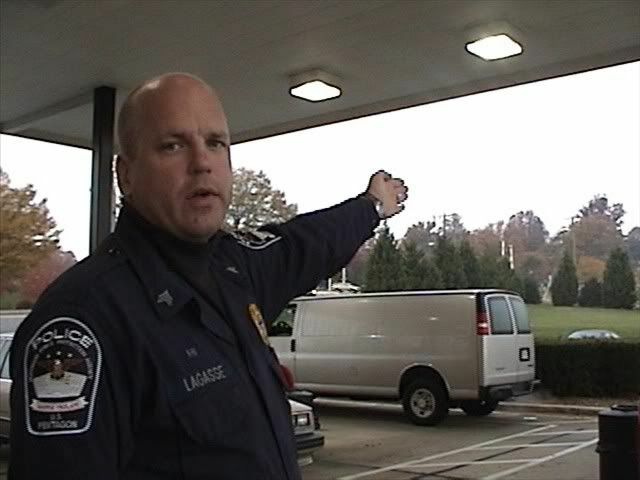 Lagasse was in the process of refueling his police car when the American Airliner flew past him so low that its wind blast knocked him into his vehicle. In an interview conducted in December 2001 , Lagasse described the secondary explosions and the search and recovery of injured Pentagon personnel. Brooks saw the hijacked plane clip lampposts and nosedive into the Pentagon and described the ensuing scenes of chaos in his interview, taped November 25, 2001. You can not even find witnesses to support your lies! Debunked 5 years ago. This is a classic! Wow. I will admit I had higher hopes for the critical thinking skills of the people in this forum. I figured at least a couple of you would be strong enough to rise above the groupthink and at least admit that the testimony is compelling and raises serious questions. Pentagon police officers for god's sake! I could see how you guys would blow it off if all we had was Robert Turcios but come on fellas! Not one but 2 cops! Who are so insanely certain about such a simple and significant claim. I know deep down inside some of you are a bit wigged out by this. I know it's hard to admit especially in this forum but simply to let your mind go there at all. If any of you want to open an anonymous civil intellectual dialog with me in private about this feel free to hit me up on myspace or something. I know you don't want to seem weak in front of the gang when dealing with a woowoo twoofer. Anyway I just thought I'd throw that out there. Why do you guys keep saying this over and over? We are simply reporting what the witnesses claim they saw. They ALL saw the plane on the north side of the station. THAT is the smoking gun. NOTHING from their previous interviews contradicts this. Wrong you have not listened, they debunk everything you say, every single thing you say! Your witnesses do not support your lies! Debunked 5 years before you knew it. Why are you repeating yourself like a robot? Plus you make no sense. NOTHING contradicts the north side claim in those accounts. None specifically claim the plane was on the south of the citgo station therefore none directly contradict the citgo witnesses placement of the plane. THE WITNESSES WEREN'T NEAR THE CITGO STATION SO THEIR TESTIMONY WILL NOT SAY THAT IT WAS SOUTH OF CITGO! DAMN ITS LIKE ARGUING WITH A 4 YEAR OLD WHO DOESN'T KNOW WHAT TOP FROM BOTTOM IS! IT DOESN'T MATTER IF THEY WERE NEAR THE CITGO STATION OR NOT BECAUSE THEY WOULDN'T BE USING THE CITGO STATION TO ESTABLISH WHERE THE PLANE FLEW IN FROM!!! You did not listen. Try again. Your own witnesses contradicts the north side. So does the FDR. This is where Lyte's witnesses can be found debunking his whole theory five years before he even started to tell lies about 9/11. Ironic. These guys went through a tough event and it is fresh 5 years ago. Hear the guys who responded first on 9/11 at the Pentagon tell the story of flight 77 and the Pentagon. Not clouded by 5 years of tough memories. Your witnesses prove your video wrong, and you wrong. Listen please. It proves you wrong, if you do not listen you will not know. Last edited by beachnut; 28th March 2007 at 11:16 PM. 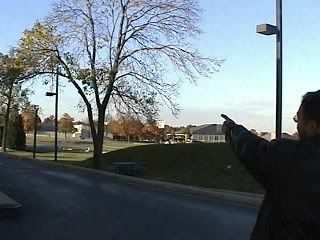 Well the citgo sation is the only visible landmark nearby for anyone that could see the alleged impact zone of the pentagon. All of the witnesses that WERE in a position to tell saw the same thing. Your witnesses prove your video wrong, and you wrong. Listen please. Dude I have listened many times. They NEVER contradict the north side claim. as pointed you several times, YOUR OWN witnesses tell a different story 5 years ago. lyte, when are you going to inteview the firefighters on duty? the hundreds of witnesses who were on the freeway? why haven't you interviewed these people? Because they didn't see the plane. We interviewed anyone and everyone we could find that saw the plane. So Lyte, will the researchers edition have better camera work and audio than the smoking gun edition? Because the production values were woeful. I realise you guys aren't professional film makers, but really how hard is it to hold a camera at least a bit steady or use a microphone? One of the biggest drawbacks for me of your movie was that the technical aspects made it nearly totally unwatchable. Sorry if this seems like nit-picking, but seriously, presentation is important. OH and your witnesses were mistaken about the Northside flightpath. You might try to fix that little problem as well. He said the same thing in our film so therefore there are no "differences". But the fact is that if his placement of the plane was remotely correct then it can not be what caused the physical damage. Aha, ok. But to me that gives this from your "dilemma"
1. You believe that they were correct in their belief that the plane made impact. 2. You believe that they were remotely correct in their independent placement of the plane. 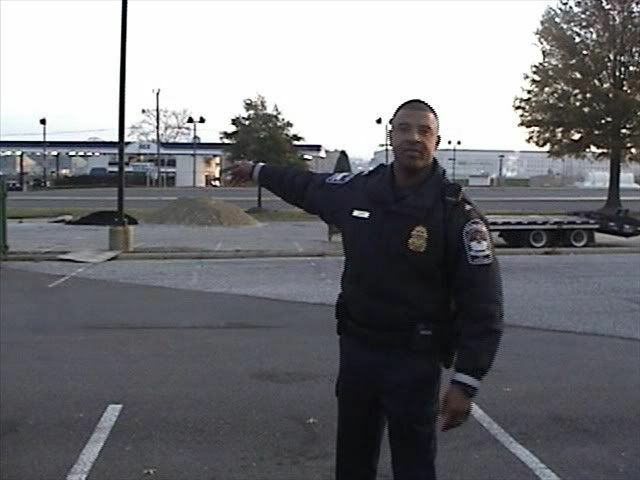 "Sgt Lagasse, are you aware of the fact that if the plane went where you today, 2005, say it went, would mean that it couldn't have hit the lightpoles, that it goes against the testimony of the cab driver and that it would mean the plane couldn't have made the damages it allegedly did"? Last edited by Panoply_Prefect; 28th March 2007 at 11:44 PM. How do you explain the DNA found at the scene, which fits the passengers on flight 77? There were 102 specialists analysing that DNA. There are family members that had relatives on that flight, who donated DNA samples for the positive ID. Are they all lying? How do you explain, that not a single person in the world saw a fly-over? How do you explain, that no radar in the world shows flight 77 after it hit the Pentagon? How do you explain the damage, that fits that of a plane? How do you explain the debris, that fits that of a flight 77? If you only answer one of these, answer the first one please. Lyte, what did the eyewitnesses watching from the other side of the river (Scott P. Cook, Ken Ford) and the people watching from apartments in the Crystal City or Pentagon City area (Steve Storti, Tim Timmerman, Dave Winslow) -- most or all of whom probably would have been in a better position to see a flyover vs. a crash -- have to say about your theory? Also, the reason there are a bunch of quotes from USA Today and Gannett people is because (1) the road was right on the way to the buildings where they were based then, and (2) they were right down the hall from lots of other reporters and therefore easy to interview and include in stories (rule #1 of the press: reporters are lazy). Once again you did not listen to the 2001 interviews. They contradict the north flight path. I am sorry but these interviews, which you have not listened to or you are unable to comprehend, contradict your north path. Eyewitness accounts are never perfect. You don't have to rely on just Lagasse! All the other witnesses corroborate his claim! What "all the other witnesses"? Two other guys? Get real. Lagasse is just as certain about where the light poles were knocked down and where the taxi cab was as he is about where the plane flew in. He is wrong about the taxicab. He is wrong about the light poles. He is wrong about the plane. This is the funny thing about CT thinking. There's an enormous respect for authority. Eye witness testimony is notoriously unreliable. But cops! Police officers! Pentagon Police Officers! You have to believe them. Protect and serve, etc. Then in the next paragraph we'll be accused of believing whatever the government feed us. And there's nothing unusual in this. Any event will elicit a range of witness recollections which deviate from each other and what actually happened. When the event is sudden, unexpected, and brief in duration, and the recollection is long after the event, witness statements are even less reliable. In the case of the Pentagon, what's significant is the consensus between all the witness statements. No-one saw anything other than a large passenger aircraft which was flying low towards the Pentagon. Ironically, the one set of people who know how unreliable detailed witness statements are - are cops. Yes, this is true. But Lagasse is on camera changing reality to fit his perception. He's told where the light poles were knocked down, and he utterly denies this. He says that the poles that were knocked down weren't, and that poles that weren't knocked down were. He also puts the taxicab in exactly the place it needs to be for his perception - not where it actually was. Lagasse, in Lyte's own video, changes the facts on the ground to meet the requirements of his own perception. He is not a reliable witness, and the PentaCon proves this. As always with any witness statement, it should be matched up with circumstantial evidence to see where the discepancies are. In this case, the discrepancies are obvious. To assume that the witness statement is accurate and that the circumstantial evidence is wrong goes against everything Mr Legasse would have been taught at Police Academy. So in short, back in -01, Lagasse is on record saying he saw the plane hit the Pentagon, and he is on record identifying it as belonging to American Airlines. Then four years later, in -05 he is again asked to recap his recollection. He then goes on to confirm what he said back in -01, confirming everything but adding a new recollection, the flight path - which he puts "wrong" - at least visavi his prior testimony. He then tries to fit known facts with his 2005 recollection of the flight path. To sum up, four years after the actual event his statement is correct save for one thing, the flightpath. That on the other hand is a four year old recollection. If I havent misunderstood something crucial, its pretty obvious which part of his testimony to dismiss. Clearly we should dismiss the part of his testimony which agrees with all the other witnesses, and accept the part which disagrees with the other witnesses and all the circumstantial evidence. Nobody is laughing at me sir. We have a lot of people quite nervous though that's for sure. I have no idea when or if the media and authorities will get their heads out of their asses. But you better believe if there are any inquiries that these witnesses will be called. Excuse me, but EVERYBODY is laughing at you. Everyone here, on the LC forums, children in Kindergarten, anyone with a still-functioning brain is LAUGHING AT YOUR RIDICULOUS NONSENSE! Bug Bunny cartoons make more logical sense. Road Runner cartoons contain better physics. Scooby-Do cartoons have better examples of how to do investigations. You, however, do contain more laughs-per-minute than they do. Maybe Warner Brothers could use you. Think their animation department could use some good humor writers. There's nothing left to do with your claims. The video is a joke- there are threads detailing the many inaccuracies and false claims throughout this forum- observations which you don't respond to. Totovader's 9/11 Conspiracy Challenge Still unanswered! Lyte, if they saw the plane hit that would trump the path discrepancy, yes? Lyte, here is an idea; interview Lagasse again, if he confirms that he did not actually see the point of impact simply ask him if there was enough room between the plane and the wall for a pull up when he lost sight of it. I gotta say I can almost hear him guffawing but I think that's what you're going to need to do. What he said about missing the impact is simply ambiguous. No way you can take that to the bank for a fly over. Even better: give him a model plane and a rough model of the wall and get him to demonstrate what he saw, all of this without ANY coaching. Then ask him if there was room in his mind for a flyover. Simple test. It will resolve a lot. Why not? I thought he made it clear there was no doubt about the plane hitting the building. If the impact detail was obscurred by the explosion that is not necessarily room for a flyover, he seemed to see the plane and building nose to face, as it were. Last edited by alexg; 29th March 2007 at 05:57 AM. Ahhh but apparently the pentagon (military) has instructed the Police (civilian) not to speak with the cits again. I'm sure it was posted on LCF. No one is laughing at you, as far as you know. It is not unbiased to exclude eyewitness testimony you don't like. It is not unbiased to simply ignore evidence you do not like. It is not unbiased to create a theory against the evidence- and in complete lack of it. It is not unbiased to have a predetermined conclusion, hand pick your witnesses, and then contradict selected portions of their statements in order to make a video. Get it through your head: the majority of the witnesses, the flight path damage, the physical evidence, DNA evidence, etc- all place the plane on the official flight path, which is south of the Citgo. To deny that is to contradict all of the evidence and the majority of the eyewitness testimony. You have no explanation for that contradiction and instead try to weasel your way into some sort of agreeable position. I repeat- if you were simply confirming the official flight path, you would not have made a video. You can't have a "shocking expose which will bring about a grand jury and indictments" and then pretend you aren't contradicting the official flight path and all the witnesses that confirm it. You must not understand English. Yes I said I believed there will be a Grand Jury this year. Yes I STAND BY that statement. No I did not ever say that our film would result in a Grand Jury. Stop lying about my claims. You're trying to change the context of your statements. Anyone involved with that thread- or willing to go and read it can see that you were beating your chest over this video- claiming it would bring about a grand jury and indictments. And now you're trying to change what you said earlier in this very thread. They ALL saw a plane on the north side of the station and then witnessed a big fireball that concealed the impact/flyover. So, after the fireball had cleared, where do your witnesses place the plane? Even if the fireball lasted for half a minute (quite a generous time for me to be allowing, the real time wuld be much less), the plane would not be able to fly far enough in this time for it to no longer be visible. With the number of witnesses present, who saw this happen, where do they place the plane once the fireball had cleared? How do you know this if you haven't interviewed them? THEN DO SOMETHING.GET OFF THE NET AND DO SOMETHING. I am fed up with your garbage, your self centred, self pitifully whining on this and other forums. Take it to the mains stream media, take it the authorities, do something other than post your "smoking gun " on internet forums and making DVD's. Your evidence is that solid, do something with it, get off your backside and do the right thing, help the families to put some closure on this. I look forward to seeing in the worlds media.